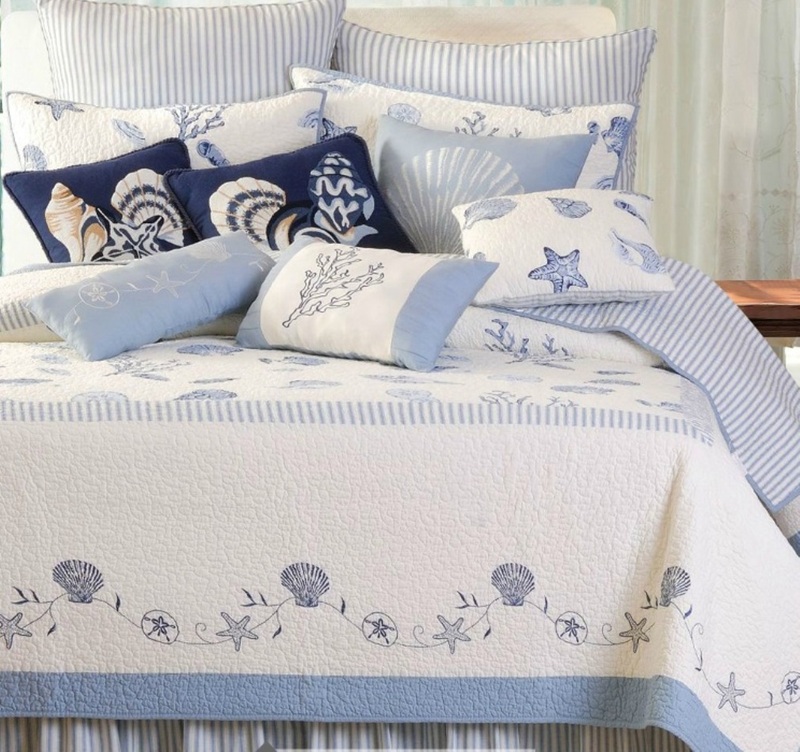 Whether you live at the beach or just wish you could, seaside ocean blue tones make this beautiful seashell quilt the perfect choice for your light and breezy lifestyle. 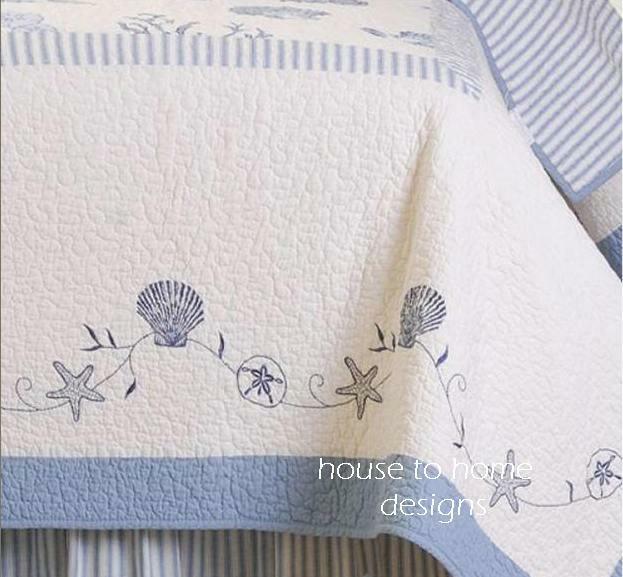 Embroidered sea shells and starfish ring around a white background with a blue border. Blue and white stripes border the pillow shams and frame the quilt. Soft, 100% cotton with cotton fill is machine washable. The Treasures by the Sea quilt is Luxuriously Oversized.